Coca-Cola Bottlers (Malaysia) Sdn. Bhd. (CCBM) is a subsidiary of The Coca-Cola Company. Coca-Cola Bottlers (Malaysia) Sdn. Bhd. is about to embark on an exciting journey towards establishing a world-class beverage business in Malaysia. We have commenced our operations in sales and distribution. Our mission is to be the leading non-alcoholic beverage company in Malaysia. CCBM is an equal opportunity employer and candidates from all backgrounds are encouraged to apply. If you have the passion to create, the energy to perform and the will to succeed - CCBM would like to invites you to build this world-class organization. We are growing and expanding our dynamic team. 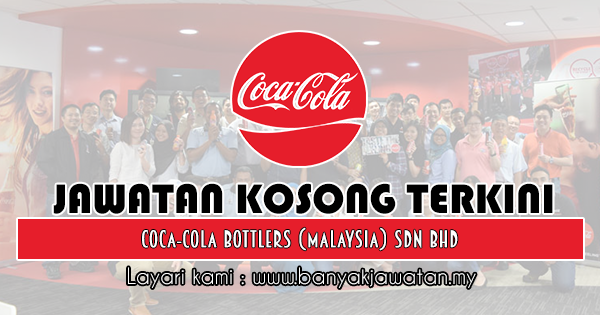 0 Response to "Jawatan Kosong di Coca-Cola Bottlers (Malaysia) Sdn Bhd - 6 Mac 2019"